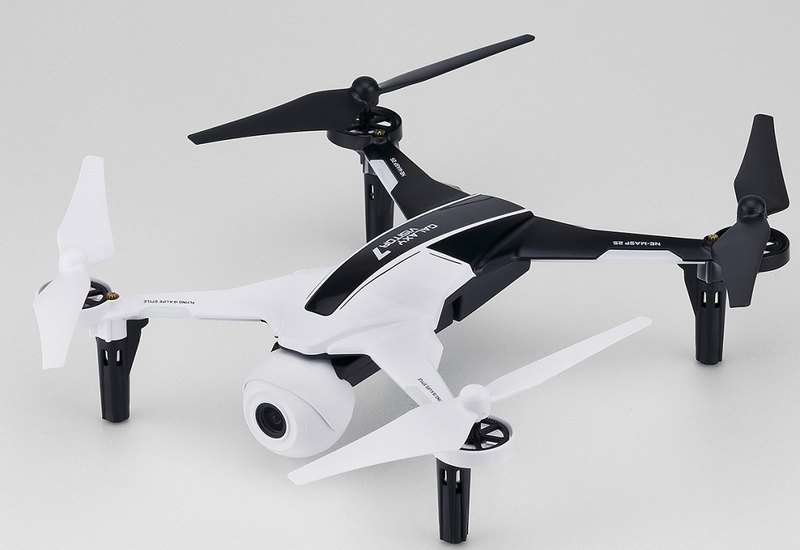 The GALAXY VISITOR 7 is a 2.4GHz Quadrocopter of the latest generation. 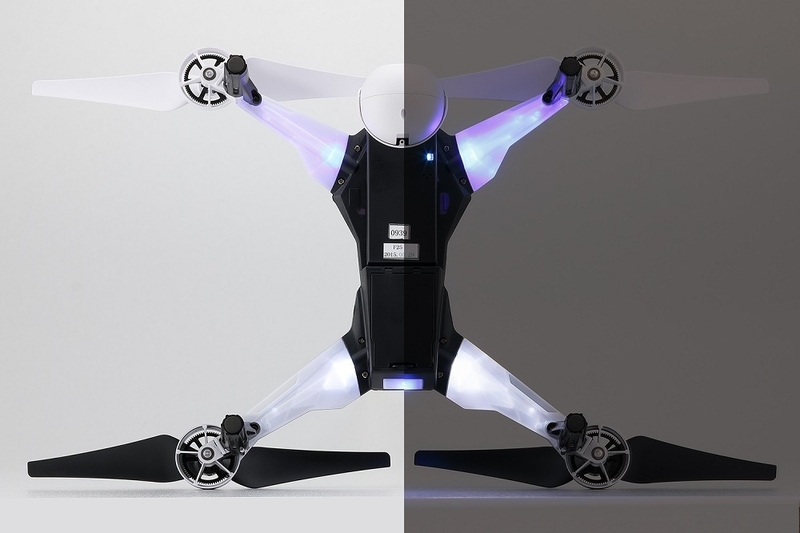 Through the sophisticated 3-axis gyro stabilization system a very accurate simple feeling of control is possible. Due to the simple control and the high intrinsic stability the GALAXY VISITOR 7 is a particularly good choice for beginners. 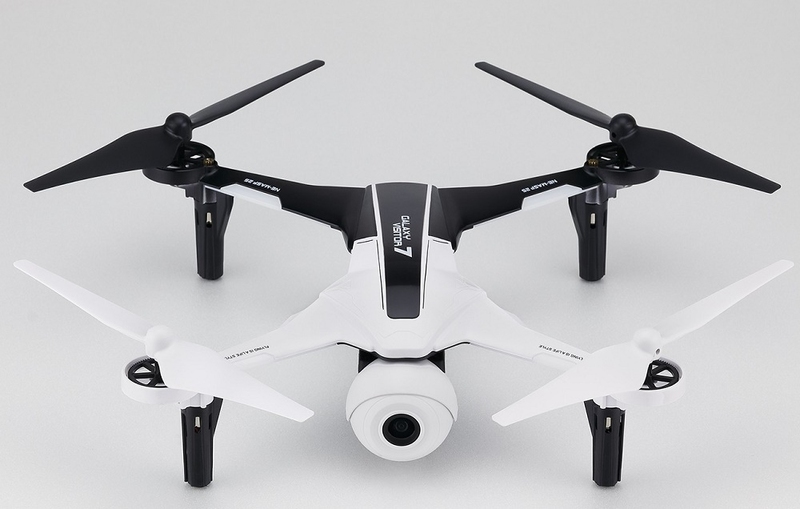 The agility of this Quadrocopter is adjustable thus ensures that flying with the GALAXY VISITOR 7 will not be boring even for advanced pilots. Also for outdoor use with little wind, the model is suitable. 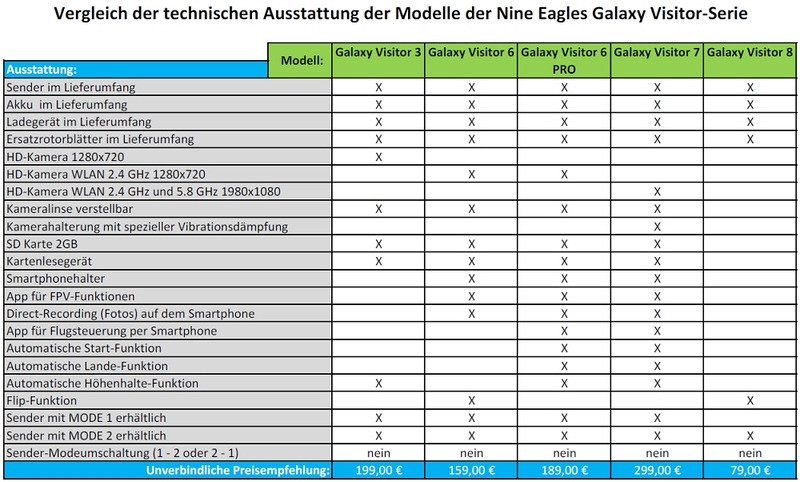 Furthermore, the GALAXY VISITOR 7 has a height sensor. Thus, the last controlled flying height is automatically maintained if the pilot lets go of the throttle stick. The GALAXY VISITOR 7 has an automatic start function which will launch automatically the model and keeps stable at an altitude of one meter. An automatic landing function by pressing a button is also part of this version of the model. The GALAXY VISITOR 7 combines many advantages such as small size, low weight and high security. 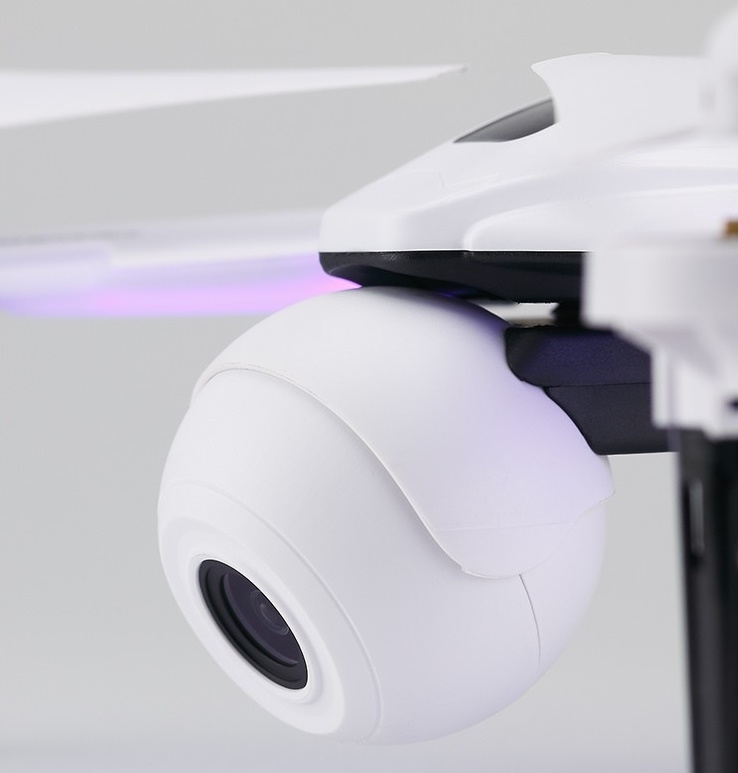 moreover The model has a high-resolution 1920x1080p HD WiFi Camera. With the free app for your smartphone (iOS Android), you therefore have the opportunity to delve into the world of FPV. The camera lens is adjustable in angle of inclination. In addition, a vibration-damping suspension. This ensures clean, vibration-free image and video recordings. The camera image can also be transmitted Wittels integrated 2.4Ghz and 5.0GHz WiFi transmitter system on smartphones and tablets. Furthermore, it is also possible to control the GALAXY VISITOR 7 directly with your Smartphone. For this purpose, you only have to connect the smartphone to the transmitter of the GALAXY VISITOR 7. 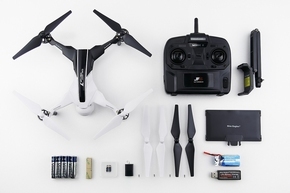 The display will automatically appear all control elements necessary for flight operations. The model is not compatible with Futaba Transmitters (no FTR). - Vibration-damping suspension for excellent, almost vibration-free image and video recordings. - Free App for iOS and Android devices.